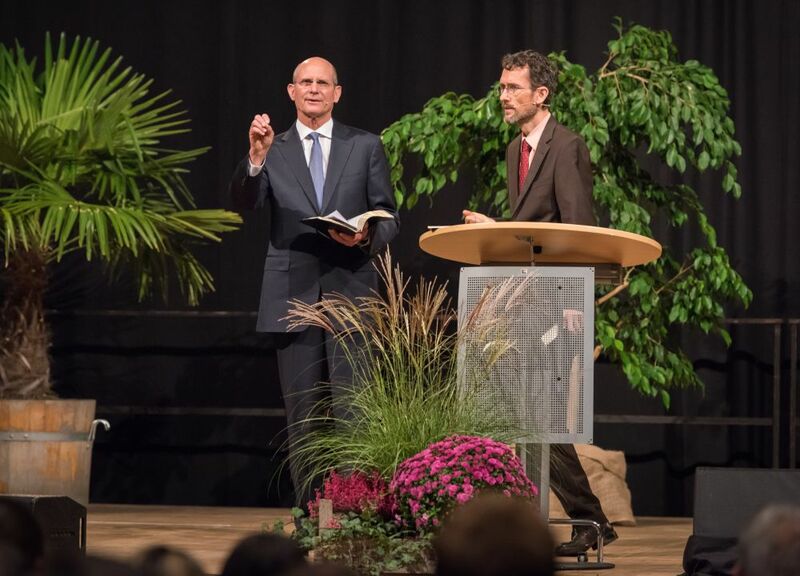 Adventist Church leader Ted Wilson speaks at Adventist Theological Society youth convocation in Germany. Ted N.C. Wilson, president of the Seventh-day Adventist world church, urged hundreds of young Germans to make their homeland their first mission field. Wilson, speaking at an Adventist Theological Society youth convocation near Hanover, Germany, thanked German Adventists for years of dedicated mission service around the world. But he noted that the church’s 35,000 German members face a major challenge reaching their highly secularized country of nearly 83 million people today. 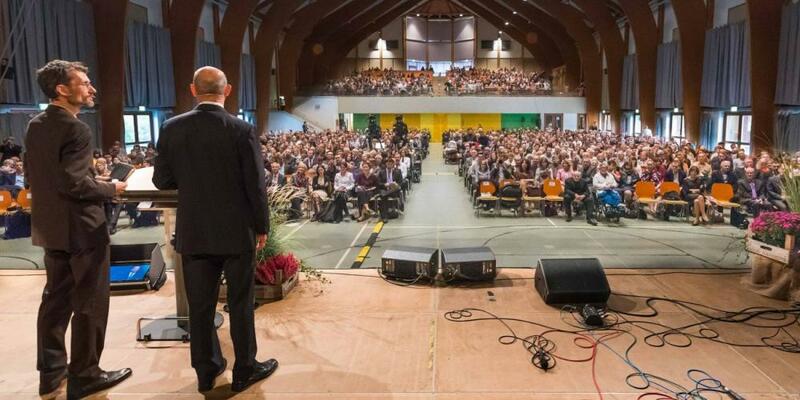 “God is calling you — especially young people — to go to the world, starting with Germany,” Wilson told about 1,500 people of all ages gathered in an auditorium for a Sabbath sermon on Oct. 21. He re-emphasized that appeal at a Sabbath afternoon session devoted to mission outreach and again during a Q&A session in the evening. 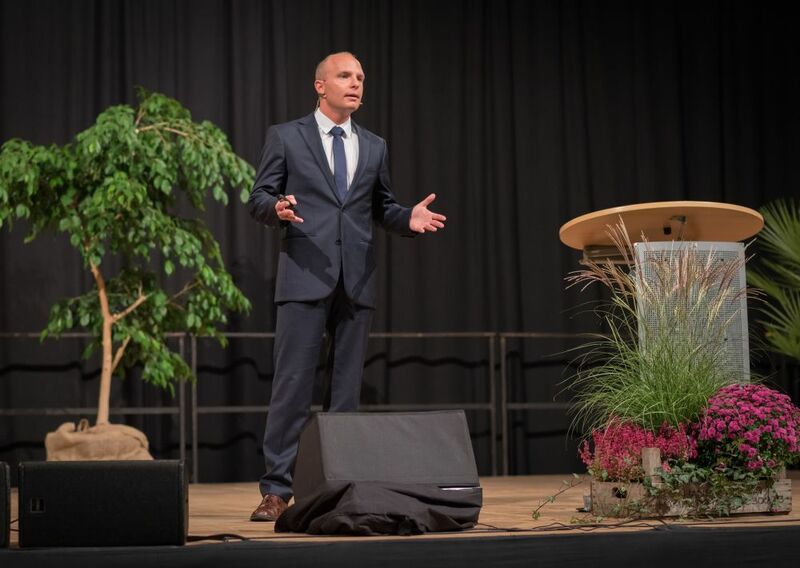 “I expect to see an evangelism explosion in Germany led by Christ-centered, Bible-believing, Spirit of Prophecy-following young people and others who are consecrated to God’s last-day proclamation of the three angels’ messages since Jesus is coming soon,” Wilson said in an interview, summarizing his response to the youth convocation. Other convocation speakers conceded that the task of reaching Germany might appear enormous. The territory of former East Germany has the largest concentration of atheists in the world, more than North Korea, China, and the former Soviet Union, said Rene Gehring, president of the Bogenhofen Seminary on the German-Austrian border. More than 60 percent of the local population identifies as atheist, while fewer than 10 percent is Christian, he said. Still, Gehring said, God can perform miracles with just a few faithful people, just as He did when Gideon defeated a huge army with only 300 soldiers in Judges 7. Listeners were clearly moved when he read a passage from Ellen White, saying, “One Christ-loving, devoted member will do more good in a church than 100 half-converted, unsanctified, self-sufficient workers” (“Testimonies for the Church” Vol. 5, page 114). Gehring said 75 percent to 95 percent of converts join the Adventist Church through personal connections, and he called on young people to reach out to their families and friends. 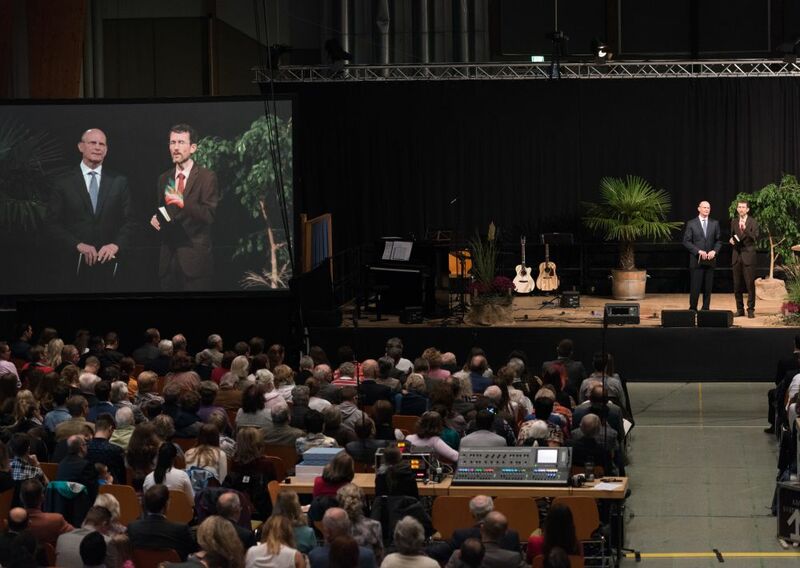 Other speakers included Johannes Naether, president of the Adventist Church’s North German Union Conference; Markus Kutzschbach, associate director of the Ellen G. White Estate; and Achim Noltze, former president of the Adventist Theological Society’s German chapter. Young attendees left the one-day event determined to do more in their communities. “It’s true. Nobody can reach my family and friends like me,” said Lena Engel, 25, who served as a missionary teacher in the South American country of Guyana for a year. “Even though this is sometimes the most difficult place to witness, these are the people who can really see if my beliefs make a personal difference in my life,” said Engel, who teaches math and science at the Bogenhofen high school. Jan Haugg, 30, a former atheist and second-year theology student at Bogenhofen, expressed enthusiasm about graduating and returning to his native east Germany. “It is my desire to share this message of the kingdom with those who grew up like I did, as an atheist,” he said. Other young people appeared re-energized to push ahead with their efforts. 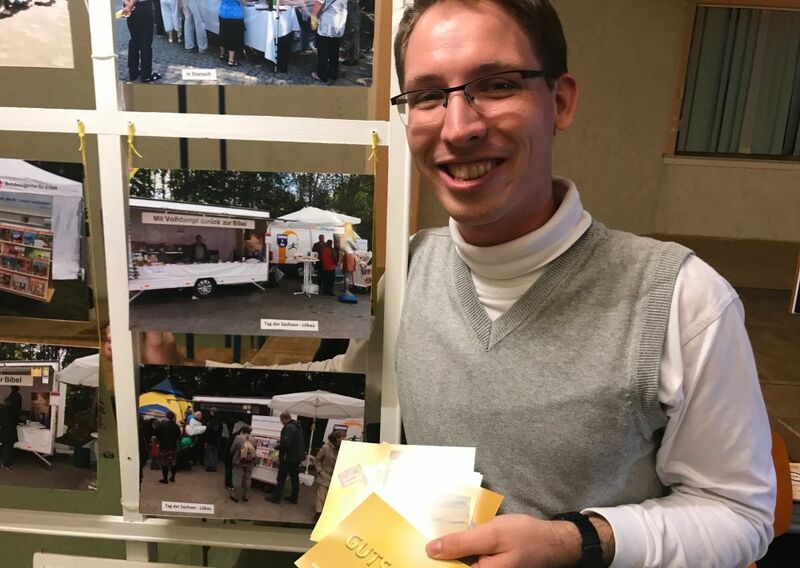 Samuel Naumann, a 25-year-old student at the University of Leipzig, spoke about his joy in distributing free copies of Ellen White’s “The Great Controversy” and other books from a family-owned book booth. His family sets up the booth at German festivals and in city centers. “Many Christians come to our booth and say, ‘This is exactly what we think! We thought we were the last Christians who believe in the simple word of the Bible,’” he said, speaking at a book booth in the exhibit hall of the event. A Shining Example The testimonies of Global Mission pioneers working in China and their conversion stories. Zelindo's Dream Timor Leste is the newest nation of the 21st century. Watch how God has been calling faithful leaders in this remote area of the world.